Wait, isn’t the point of a diet that you are supposed to cut calories? Yes, but according to registered dietitian and author of Belly Fat for Dummies Erin Palinski-Wade, RD, CDE, it’s only one piece of the puzzle. Focus on improving the nutritional quality of your diet rather than your calorie intake for improved body weight and health,” Palinski-Wade says. Intrigued? These are the other weight loss tips doctors wish you’d stop following. As with cutting calories, skipping meals isn’t effective for healthy weight loss. Ignoring hunger cues throws off the signaling in your body, as Laura Moore, RD, director of the dietetic internship program at The University of Texas Health Science Center at Houston (UTHealth) School of Public Health, explains. “Energy intake, or what’s consumed, and expenditure, or what’s burned, is coordinated by signals from several systems, including the endocrine, adipose tissue, neurologic, and gastrointestinal systems,” she says. “Take small bites of food and chew it slowly, stopping two or three times during a meal to determine if you are hungry or if you feel satisfied,” she says. If you get into the habit of mindful eating, you’ll be less likely to finish off those extra bites of mac and cheese from your kid’s plate. Another strategy is to change up your plate size—according to research from Cornell, subjects serving themselves food on larger plates dished out more, consumed more, and wasted more. 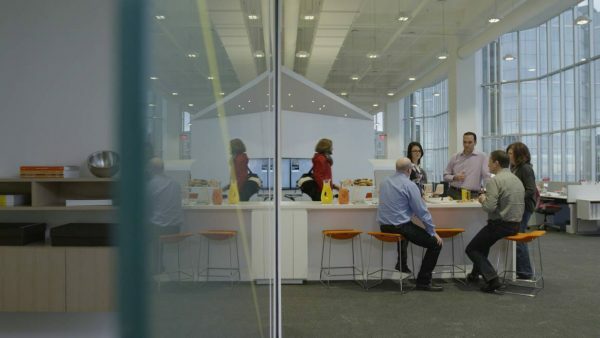 When it comes to employee wellness, a lot of the discussion centers on physical wellness: encouraging employees to increase their physical activity levels, develop healthier eating habits, getting more sleep, etc. In addition to being easier to relate to, these kinds of wellness initiatives produce results that are not only easier to see and quantify (weight loss, lower blood pressure, lower cholesterol, etc. ), but also easier to link to business outcomes, such as reducing insurance costs and absenteeism. Ignoring emotional health – both on a personal level and on an organizational level – can have consequences that are much more concerning than a few moments of awkwardness, such as higher rates of employee burnout, interpersonal conflicts, and decreased productivity. “Emotionally unwell” employees can also spread their personal feelings of stress or unhappiness to other members of the organization, even those they don’t directly interact with, infecting the overall company culture. EAPs are employee benefit programs that provide workers with resources and tools to help them deal with personal problems (addiction, debt, family issues, etc.) that may be affecting their work performance. More actively promoting the EAP to employees, both on a global scale and individually to those managers are concerned about, is a simple but effective way to enhance emotional wellness with very little additional expense. Suffering from a dry, achy throat? You’re not alone. 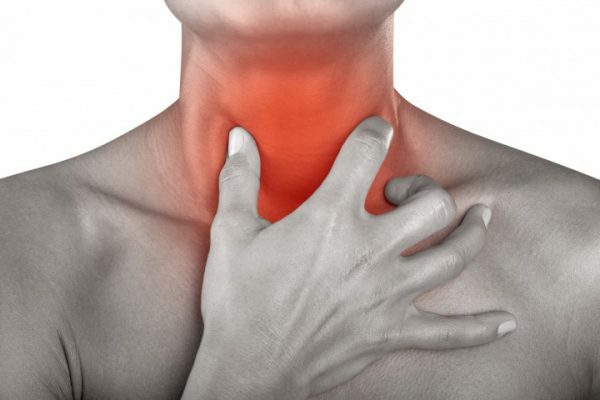 Sore throat is one of the most common ailments Americans experience each year, especially when the seasons are changing. In fact, shifts in barometric pressure and an uptick in seasonal allergens can irritate the throat and weaken the immune system, causing sore throats. Honey is a sore throat go-to for a reason. The sweet stuff feels (and tastes) great on a scratchy throat, plus it has major inflammation-fighting power. If your sore throat is coupled with a cough, you might want to try a little honey before bed. One study found that honey was able to relieve nighttime cough and cold symptoms as effectively as an over-the-counter cough suppressant. A salt-water gargle might seem simple, but science says it can do wonders for your sore throat. Studies have found that gargling a mix of warm water and salt can help thin and loosen mucus buildup, clearing the way for a pain-free throat. Bone broth offers a boost to your immune system, which can help you combat a cold. Some believe that inhaling the water vapors from warm liquids and soups are to credit for their throat-soothing capabilities, but one study found that sipping chicken soup through the straw of a covered container still provided significant nasal-mucus-clearing improvements. Eating a nutritionally balanced high-quality diet may lower a cancer patient’s risk of dying by as much as 65 percent, new research suggests. 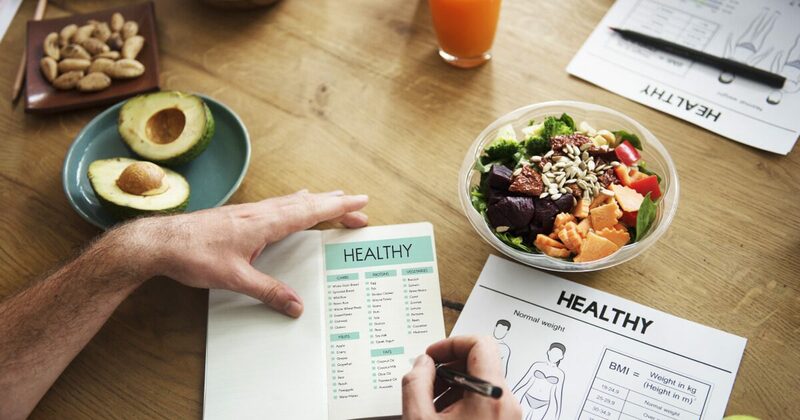 The finding that total diet, rather than specific nutritional components, can affect a cancer patient’s prognosis “was particularly surprising to us,” said the study’s lead author, Ashish Deshmukh. Total diet, he explained, was one that appeared to be “balanced” and “nutrient-rich” with a wide variety of vegetables, fruits, whole grains, proteins and dairy. 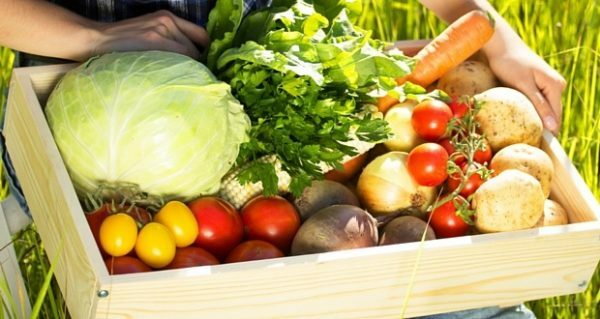 The team then used the U.S. Department of Agriculture’s (USDA) “Dietary Guidelines for Americans” as a yardstick for ranking the nutritional quality of the diets used by 1,200 people who had been diagnosed with cancer. Hey girl, what’s your sign? No, this isn’t a cheesy pick-up line, it’s research. If you’re anything like me, your zodiac sign is as much a priority as your blood type — aka, it’s not, really. Then again, maybe you and I are polar opposites, and checking your horoscope is like a morning ritual: brush your teeth, drink your coffee, read up on the inevitable fate the stars and planets have in store for you. 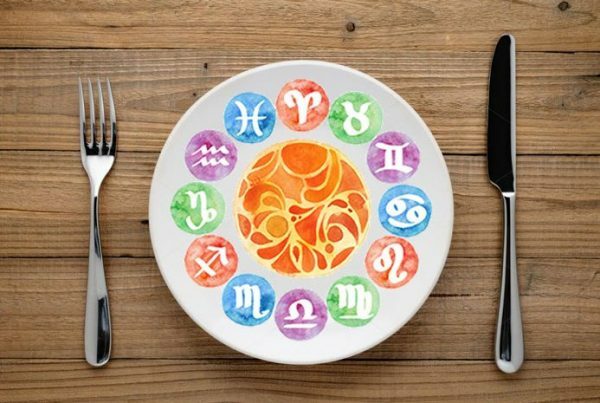 In other words, take the following suggestions with a grain of salt, but if you’re curious to find out how the stars align in order to create the ideal meals of your sign, read on. 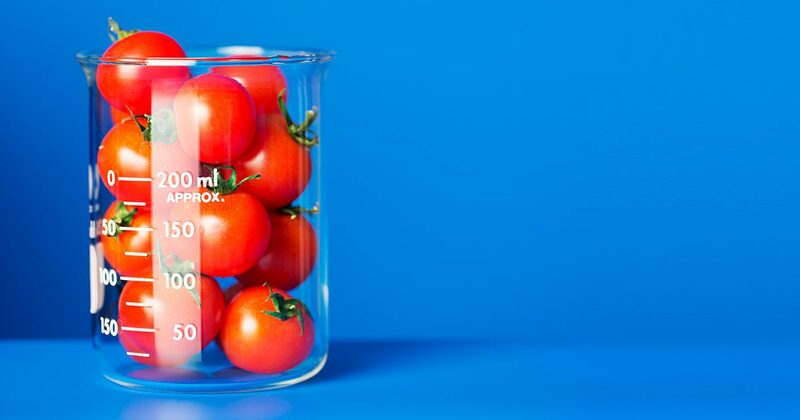 While there’s currently no evidence that genetically modified organisms harm human health, that isn’t to say there aren’t legitimate reasons to avoid them. GM experts and proponents also have legitimate concerns that adding a label identifying GMOs gives the impression that there are scientifically proven risks to worry about. Studies on perception of GM food suggests that the public has a baseline aversion, and a label may increase wariness. Labeling advocates, of course, argue that if Americans want to avoid GMOs, they have a right to do so. Highly processed ingredients like high fructose corn syrup have little to no traceable DNA in them, and so the U.S. Department of Agriculture (which regulates food labels) doesn’t require manufacturers to add a label to indicate those bio engineered foods. In contrast, the USDA regulations allow companies to choose between three options: write out the warning (as in “contains a bioengineered food ingredient”), include a BE label, or use a QR code that would link the consumer to a page disclosing all the information.